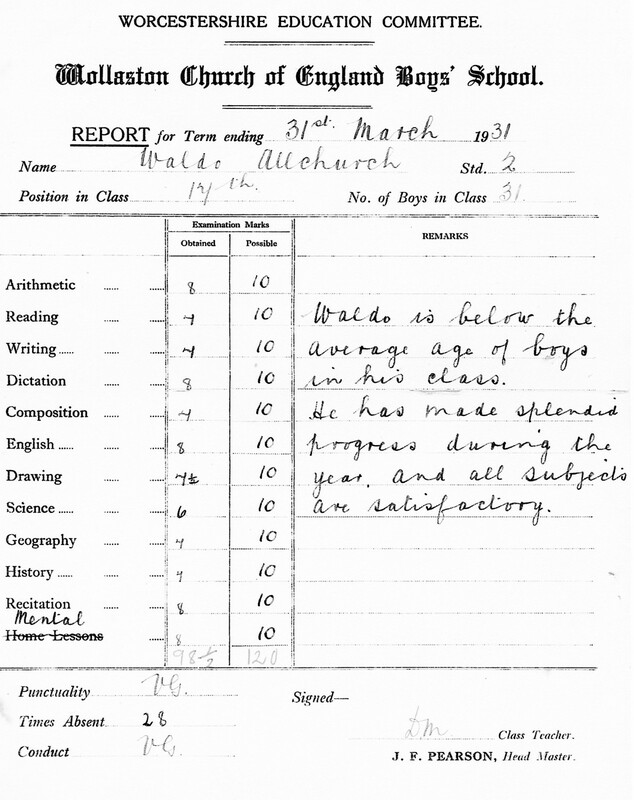 School reports were very brief with a mark out of a possible 10 for each subject examination. The teacher, David Mallen, spent very little time or thought on his reports and parents would not have a clear idea of where their sons had been successful or where improvement was needed. The general comment was written by the class teacher and the headmaster did not even sign the report. However the situation regarding reports had improved as they had only been introduced by Joe Pearson in the 1920s. Next: Notice of a Gas Mask Inspection.